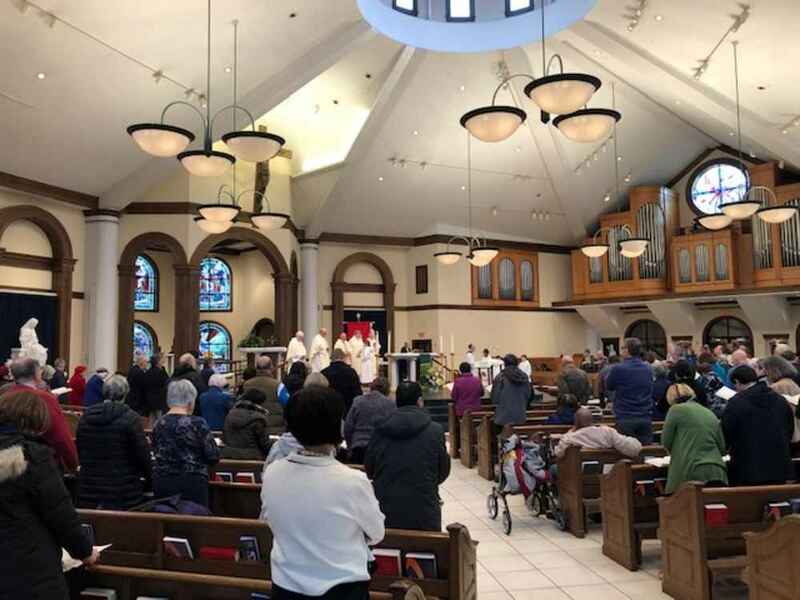 The DC and Montgomery County regions held their 13th annual Lourdes Anointing Mass on March 2 at Our Lady of Mercy Church in Potomac, Maryland. We were blessed with a morning without snow or rain. Many prayers were answered to start the day. The main celebrant for the liturgy was Bishop Mario Dorsonville, and he was assisted by Msgr. William English, Msgr. John Enzler, Msgr. James Watkins, the Rev. Bill Byrne and the Rev. Stephen Wyble. 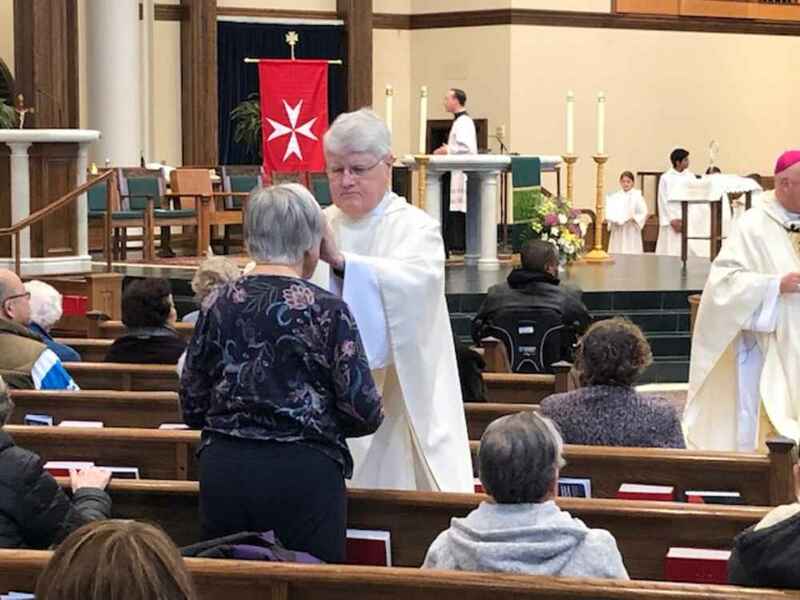 More than 200 malades were able to receive the Sacrament of the Sick and most of those attending the Mass also stayed for the complimentary lunch that followed. Also in attendance were many of our malades and companions for the forthcoming pilgrimage in May. All receiving the sacrament were given Lourdes water from the 2018 pilgrimage, an Our Lady of Lourdes Holy Card, and a Miraculous Medal. On hand to assist those in need were more than 50 volunteers, including many knights and dames, family members, and friends. 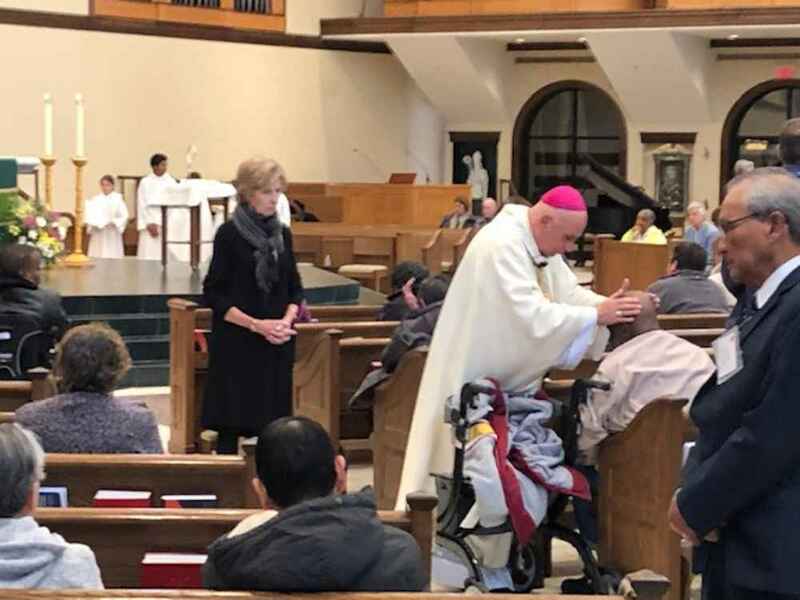 Bishop Dorsonville was very personal in his homily when he said that we will all get old and sick and will need to ask for God’s special help. So if we are not in need today, that day will come. The bishop highlighted those who are caregivers. They are doing God’s work through their loving care. The caregivers need our prayers. They need to be recognized and strengthened. As the six priests went through the congregation, you could feel the power of the Holy Spirit in the laying of hands on the forehead and when the priests anointed the malades with oil. It was a morning to share our faith, and with our actions be of service to the sick.